Ahh the twin size quilt! It is both beautiful and functional. This quilt is perfect for a dorm room twin bed. It measures 70" by 95". 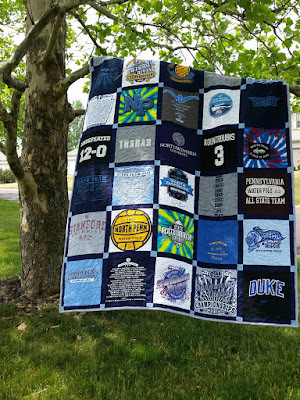 No need to buy a comforter for that special college graduate!